Working in the music space certainly provides multiple hooks that make sense for brands. Music is experience. Music is passion. Music is conversation. And for brands, connecting to consumers and their passion points is often best routed through the emotional connection of music. Here are just two examples of some of our work with music and major consumer brands, leveraging the Rolling Stone and Rhapsody music brands, and working with promotional partners such as AEG, Live Nation and Superfly, we built out these multichannel programs to meet client objectives and get the brand into the minds and hands of consumers, across multiple touch points. 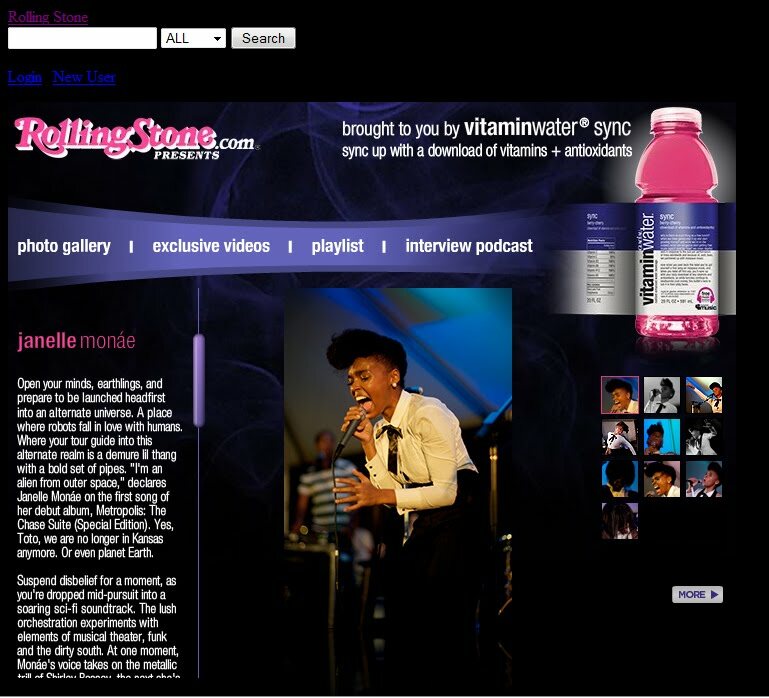 Vitamin Water @ Bonnaroo Music Festival: Vitamin Water was already locked up with the live event, so we leveraged this exiting relationship and extended their brand presence to a digital program, with extensions on RollingStone.com and Rhapsody.com. Working with both agency and T-Mobile brand team, our group rolled out a series of 3 convergence media programs around live music. The example shown here showcases our integrated strategy for T-Mobile at Austin City Limits Music Festival. 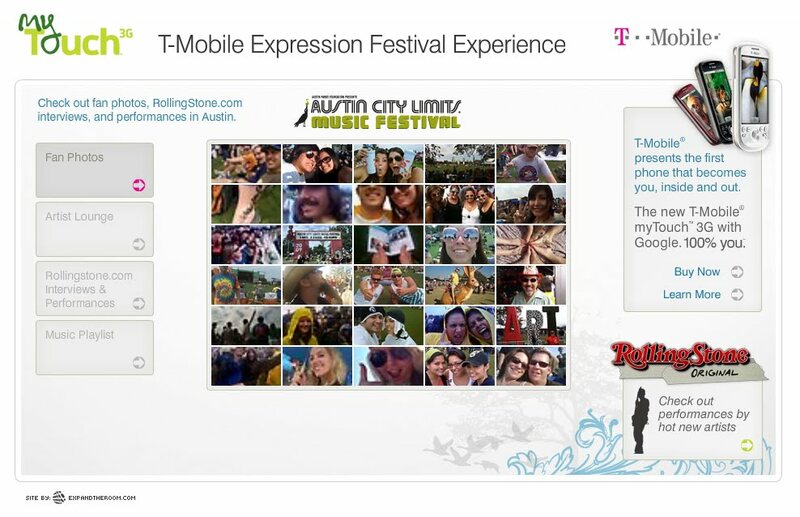 Playing on T-Mobile's theme of self-expression, we captured content from the fans at the festival, as well as performance photos and video. 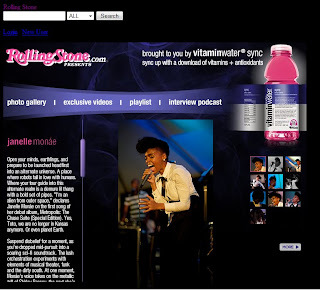 Our RollingStone.com 'crib' in Austin provided T-Mobile with an endemic venue for experiential marketing, while also double as our production facility for band interviews, photo shoots and intimate acoustic performances captured in high def video - all brought online and promoted throughout our music properties.